If you are having trouble with the automatic transmission in your car, it may be caused by a faulty transmission control module. A failing transmission control module can have symptoms such as up and downshifting problems or the transmission getting stuck in neutral or first gear. It can be difficult to diagnose what is causing the problem, but if you read on we will outline how a transmission control module works and some of the most common symptoms when they stop working properly. What Is The Transmission Control Module? 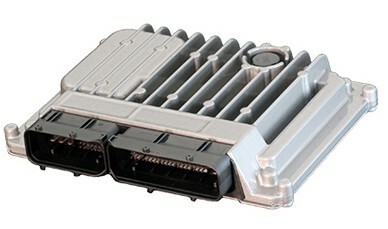 The Transmission Control Module, also known as TCM, is the main component of any modern automatic transmission system. It decides what is the best gear for a particular load. This is important because the main objective of any transmission is balancing the torque-to-power ratio. It decides when is the right time to apply the gear. An adequate timing for the upshifts and downshifts is critical to keep the torque and power “flowing” flawlessly during acceleration and deceleration. Contributes to the fuel economy whenever possible. The TCM is in charge of detecting “low power, low torque” conditions, ideal for the “overdrive mode”. Receives, process, and detects problems in the automatic transmission system. Similar to the Electronic Control Unit (ECU), the TCM uses its software parameters to determine the conditions necessary for setting up data trouble codes related to its sensors and actuators. Receives, process, and detects information from other control modules. A modern vehicle's electronic ecosystem is like a mini-network, with several computers sharing sensor and actuator data. Information that is crucial for automatic transmission calculations like the Throttle Position Sensor (TPS), Manifold Absolute Pressure (MAP) and RPM come from the engine computer (ECU) not directly from the TCM sensors. Even though it is supposed to outlast the automatic gearbox, the transmission control module can also fail. Next we will explore the different symptoms of a bad transmission control module in an attempt to alert you about a possible TCM failure. As you may expect, a key component like the transmission control module will light the check engine light when a problem arises. However, on rare occasions, the self-diagnostic routine will be saving the “bad TCM” data trouble code P0700. Instead, you will probably find several data trouble codes pointing to automatic transmission sensors/actuators. An experienced technician will recognise certain patterns in these codes that could indicate a bad transmission control module. Engine and transmission work as a team known as a “powertrain” in order to optimize fuel economy. Because of that, it should not be a surprise that a bad transmission control module leads to poor fuel economy. The inability to properly control gear shifts will severely hurt gas mileage. Under normal conditions, the transmission control module calculates an optimal strategy for upshifting no matter what combination of car speed / engine load is present. This ensures optimal fuel economy when you are accelerating slowly, but could also provide full engine torque if necessary, for example, during wide open throttle (WOT) mode. A delay in upshifts, leading to gear shifts at higher RPM than usual. The inability to reach certain gears and/or overdrive mode. Rough shifting. Ideally, upshifts should be smooth, so smooth that they should not be noticed. Gear skip. In some situations, a bad TCM could shift from first gear to third, or from second to fourth, causing a noticeable lag in acceleration. Similar to problems with upshifts, the transmission control module calculates the best strategy for downshifts. Engine stall. An automatic transmission stuck in a high gear could easily stall the engine. Rough shifting. A typical problem with a bad TCM is the “gearbox knocking sound” when shifting gears. Premature downshifting. Even when not as common as a delayed downshifting, a premature downshifting is also possible. This is another common symptom of a bad transmission control module. As part of the TCM “emergency mode” strategy, some gearboxes get stuck in neutral to prevent further damage to the transmission. However, that’s not always the case. While it’s true that keeping you stuck in neutral is the safer approach, at least for the transmission, that ‘s far from ideal. A smarter strategy would be letting the car be driven to a repair shop. This symptom is similar to the prior one, is a consequence of a TCM “emergency mode” strategy. Many transmission control modules allow using the first and even the second gear while in emergency mode. This alternative gives the motorist a limited autonomy that is enough for taking the car to a safe place. A variation of this approach is allowing neutral and second gear (instead of first gear). This is highly dependant on the engine, transmission type, gear ratios, and other factors outside the scope of this article. But the main idea is the same, it allows the driver to safely park the car. Depending on the TCM’s software, automatic transmission system and driving habits; you may experience occasional gearbox shifts that were not intended to happen. This is due to intermittent failures on the TCM’s upshift or downshifts calculations. You might be driving on the highway at cruise speed and experience an unintended transmission downshift, just for a second or two, and then feel how it get back to normal. This condition is very similar to the prior one, with the difference being that it is more extreme. In this case, random gear shifts may happen at any time under any conditions, making it almost impossible to operate the car. If you are experiencing continuous random shifts while driving the car then most probably you have a bad TCM or a bad solenoid pack. 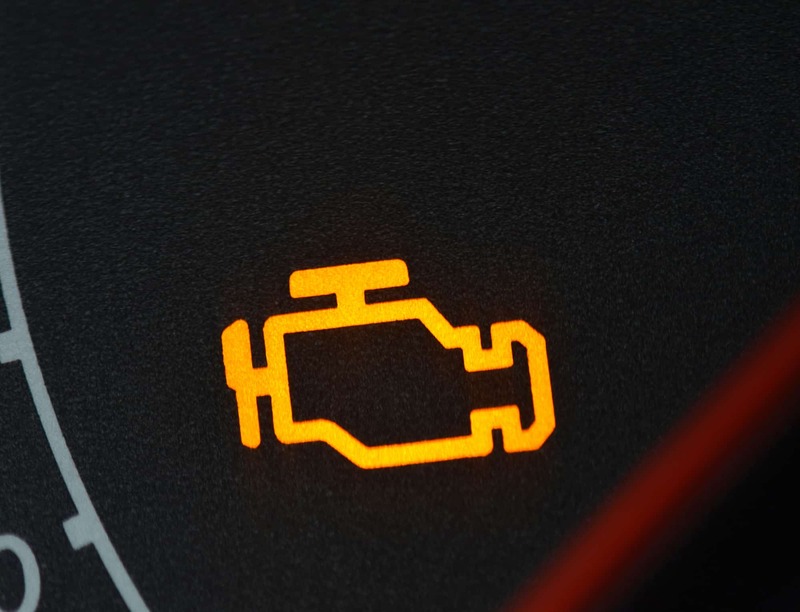 What To Do If You Suspect A Faulty Transmission Control Module? This article has explained several common symptoms of a bad transmission control module. Nevertheless, since the transmission control module is the brain of the automatic transmission system, predicting the failure severity is very difficult. Complex electronic components like the TCM may fail partially, letting the computer enter into emergency mode and giving you the opportunity of driving to a repair shop, but you may also experience a total failure without any warning. Driving with a bad transmission control module is not advised, because can literally put your life in danger. An automatic transmission that could fail at any moment is a real threat that should be taken seriously. So it is very important that if you suspect a bad or failing transmission control module, you get your car checked out by a qualified technician for a thorough diagnostic before driving it again.